Mangalore (also called Kudla in Tulu, Mangaluru in Kannada, Kodiyal in Konkani, or Maikala in Beary bashe) is a port city in the coastal region of Karnataka State in India. It is located about 350 kilometres (220 mi) west of Bangalore, the state capital. Mangalore lies between the Arabian Sea and the Western Ghat mountain ranges, and is the administrative headquarters of the Dakshina Kannada (formerly South Canara) district in south western Karnataka. Mangalore is demographically diverse with several languages, including Tulu, Konkani, Kannada, and Beary bashe commonly spoken, and is the largest city of Tulu Nadu region. The city's landscape is characterised by rolling hills, coconut palms, freshwater streams, and hard red-clay tiled-roof buildings. In an exercise carried out by the Urban Development Ministry under the national urban sanitation policy, Mangalore was placed as the eighth cleanest city in the country. In Karnataka, it is second after Mysore. Mangalore's diverse communities have different names for the city in their languages. In Tulu, the primary spoken language, the city is called Kudla, meaning junction, since the city is situated at the confluence of the Netravati and Gurupura rivers. In Konkani, Mangalore is referred to as Kodial. The Beary name for the city is Maikala, meaning wood charcoal, an attribution to the early practice of producing charcoal from wood on the banks of the Netravati river. On the occasion of Suvarna Karnataka (Golden Karnataka) in 2006, the Government of Karnataka stated that the city would be renamed Mangalooru, though this change in name is not implemented. Mangalore has no known history of Natural disasters. 3 National Highways pass through the city. Growing IT, BPO and health tourism industry in and around city. Shopping complexes/malls with major international brands. Multiplex,movie theaters,discotheques,pubs,multi-cuisine restaurants for entertainment. The pre-collegiate medium of instruction in schools is predominantly English and Kannada, and medium of instruction in educational institutions after matriculation in colleges is English. Additionally, other media of instruction exist in Mangalore. Adventure: For the adventurous, the Western Ghats near Mangalore provide an ideal location to get lost in the dense jungles. 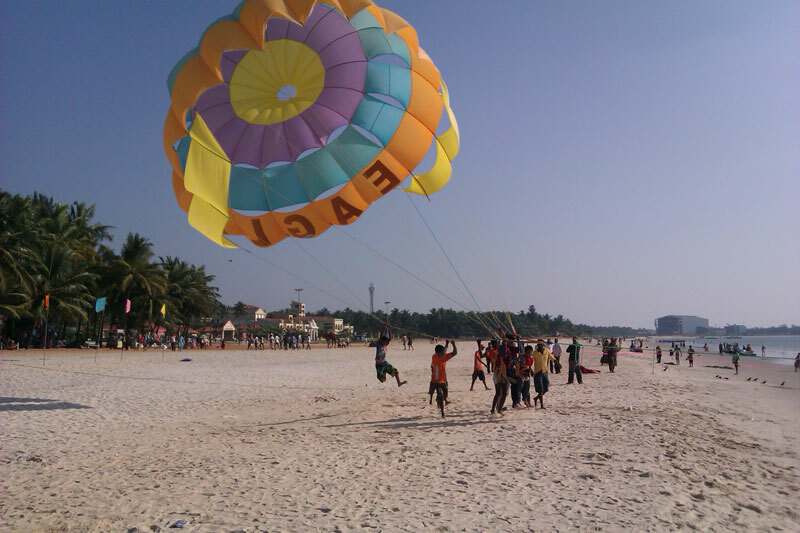 Surf: India's first surf club "Mantra Surf Club" is located just 24Kms from Mangalore at Mulki. Just board an EXPRESS Bus heading towards Udupi and get down in Mulki. Ask for "Hare Krishna Ashram". The auto rickshaws charge around Rs.20-30 from Mulki bus stand. Pilikula Nisarga Dhama is about 12 km from city and is a tourist spot with "Manasa" water theme park, animal park, boating, science centre, arboretum, golf course etc., all in one place. 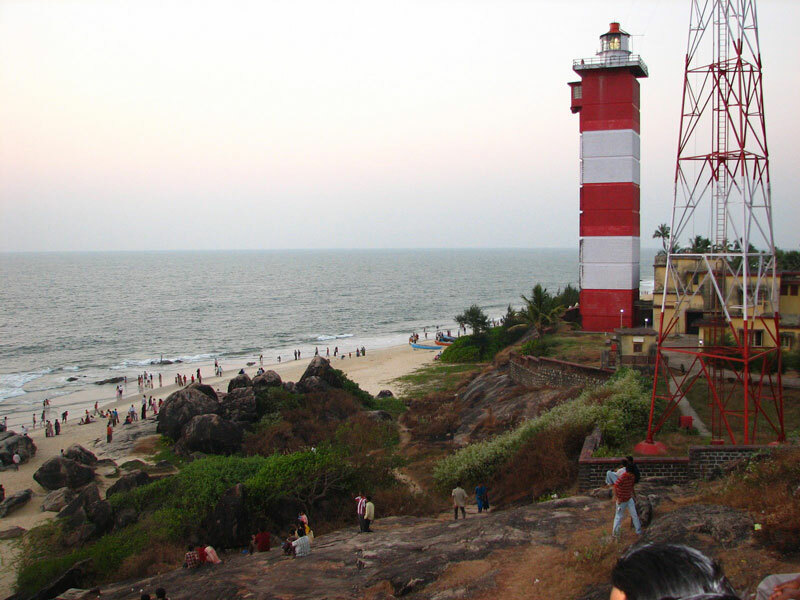 Someshwar Beach is in Ullal, 11 km to the south of the city, near the confluence of the Netravati River and the Arabian Sea. The beach face is extremely rocky and considered dangerous for swimming. However, it is a great place to relax and watch the spectacular sunsets. Ullal is accessible by bus, train and autorickshaw from the city centre. 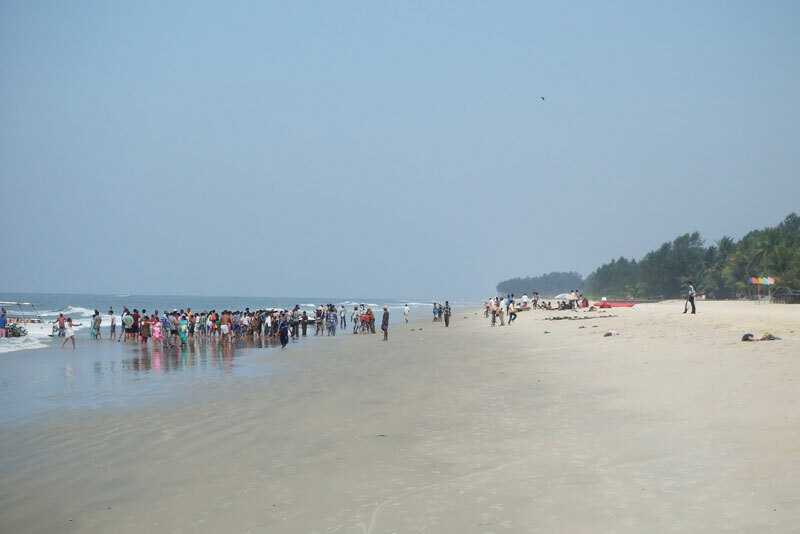 Panambur Beach is in Panambur, 10 km to the north of the city, near the New Mangalore Port and along the confluence of the Gurupur river and the Arabian Sea. This is comparatively more deserted and is a great spot for safe and secluded swimming. Panambur is well connected by bus and can also be reached by autorickshaw from the city centre. Surathkal Beach is about 15 km to the north of the city.It has a beautiful lighthouse and few rocks.The biggest thing on this beach is its "sand".Its totally different from all other beaches that it is powder like as compared to sand type feeling at all other beaches. You can confirm it by walking barefoot on beach.This beach have one resort named :Red Rock Residency" where people come every weekends to enjoy with ow some food. 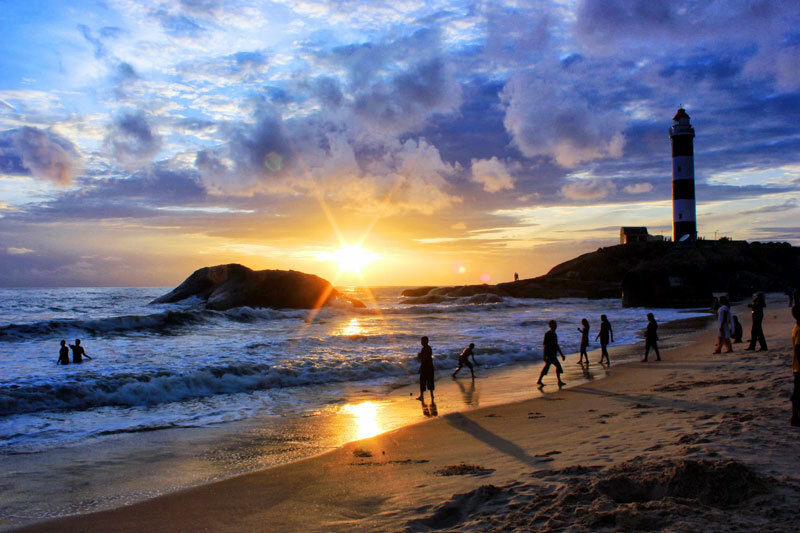 Tannirbavi Beach is one of the best beaches of Mangalore. 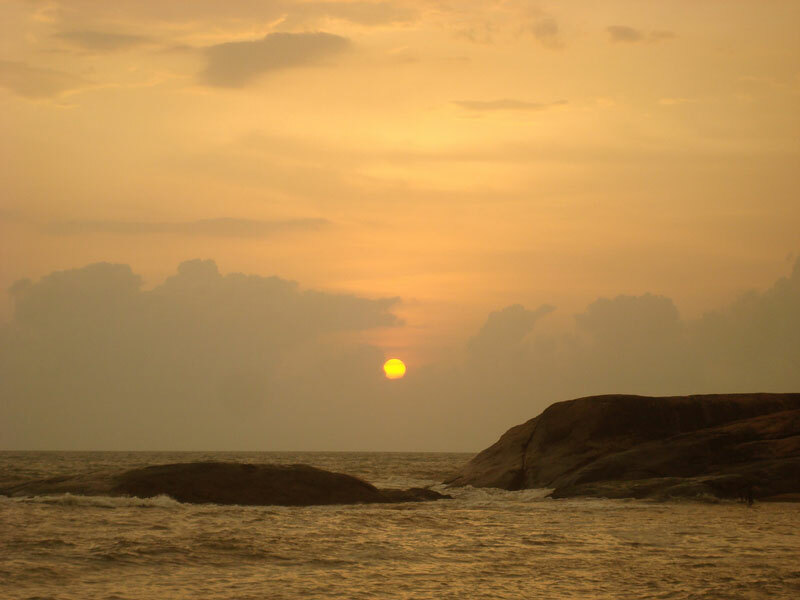 One can enjoy the sunset view here.It is located at a distance of 12 Km from Mangalore. Kapu Beach is about 45 km to the north. It can be reached by a the local express buses in 45 minutes. The beach has a lighthouse which is open to visitors. 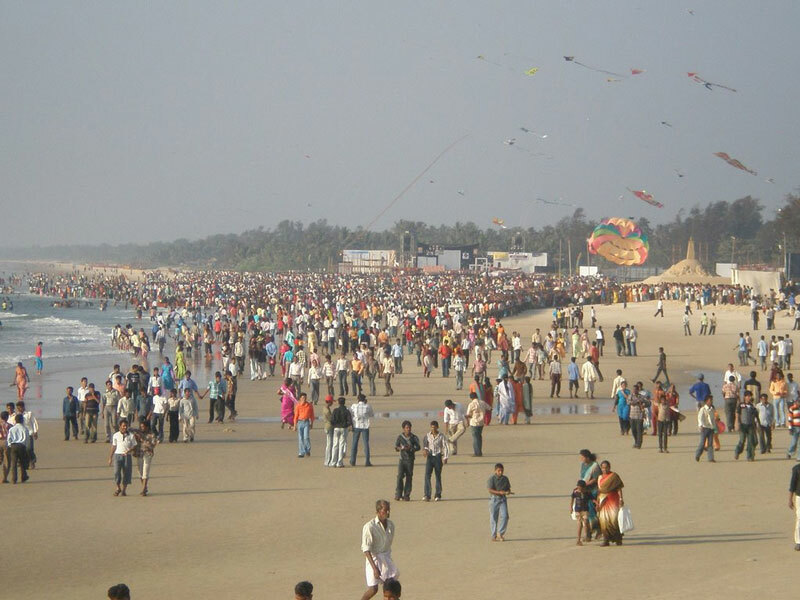 Malpe Beach is about 60 km to the north.It can be reached by a the local express buses.This beach has a resort. Also there is a small island of the beach about 15 minutes boat ride.Local ferry runs every 30 minutes or so. The last ferry back from the island is at 5PM. There are a lot of temples and churches to visit, or if that doesn't interest you, relaxing at the beach is a good idea. There are numerous private bus companies which run bus services within the city of Mangalore and its suburbs. They have names like Padmambika Bus Co. Ltd. emblazoned in large letters in English on the front windscreen of the bus and on its sides. These buses also connect to all the minor urban centres surrounding Mangalore. Most of them originate from the Central Bus Stand at Mangalore behind the Town Hall: the 'State Bank' bus-stand. Even though the buses are operated by different private companies, the bus numbering scheme is unified and quite useful. The destinations and routes are, however, all written in Kannada. The best way to use these buses is to ask around and the people are most helpful. If you are armed with a city map, one can get the hang of things within a day or so. The minimum bus fare is Rs.5 If you are a student then you can avail concession on bus fares,that is, you just have ot pay half the bus fare. In addition city bus service, there is limited stop (usually called express) bus service (the majority of these are run by various private bus companies) for inter-town/city travelling to neighbouring places. You may find these useful to visit places like Udupi, Manipal, Kaup, Venur, Moodabidri, Karkala, Subramanya, Dharmasthala, Kateel etc. Bus fare ranges between Rs.45 to Rs.65 for a distance up to 65 km. White Ambassador Cabs / Indicas are available: usually used by passengers on long-haul routes. Shared cabs are also available for travel between the city and other talukas viz. Bantwal (BC Road), etc. Prepaid cabs are available from the airport to the city: this is generally at a flat rate of Rs.350-400. Car-Rent facilities are also available in Mangalore. They are available all throughout Mangalore City, the starting fare is Rs.20. Pre-paid autos were available from the City Railway Station and the KSRTC bus stand at Bejai, but not anymore. Autos also ply to far-off destinations, the outskirts, for one-and-a-half times the actual fare; this is roughly around Rs.150, depending on the amount of money you have to spare, although one would prefer using buses to reach these areas as a cheaper mode of transport. The Private bus here are very good and well maintained - in fact the Mangalore-Udupi route bus have many amenities like TV & GPS. That said, Mangalore is one of the only few cities in India where the autorickshaw driver still uses the meter for all journeys. There is also an extra charge of 50% of your bill after 9pm. Mangalore International Airport (IATA Code: IXE) (ICAO Code: VOML), at Bajpe, about 20 km from the city centre. Currently there are daily flights to Mumbai, Bangalore, Goa, Kochi, Hyderabad, Chennai, Surat, Delhi and Calicut in the domestic segment and weekly/bi-weekly flights to Dubai, Abu Dhabi, Muscat (Oman), Doha (Qatar), Kuwait, Dammam (Saudi Arabia) and Bahrain in the international segment. Air India, Jet Airways, Spicejet, and Air India Express currently operate flights to Mangalore. Mangalore has two major railway stations. Mangalore Central (IR station code : MAQ) is located at Hampankatta, in the heart of the city. It is a terminus and is used only by the trains which terminate at Mangalore. Mangalore Junction (IR station code : MAJN) is situated in Kankanady, about 5 km from the city centre. Most long-distance trains and all trains not terminating at Mangalore stop at this station. Use Mangalore Central Station whenever possible as there is a prepaid rickshaw counter there. Autorickshaw drivers at Mangalore Junction rip people off. Surathkal (IR station code : SL) is situated in Surathkal, about 18 km from the city centre. Most long-distance trains moving on the either to north or south India stop here. Udupi (IR station code : UD) is situated in Udupi District, about 87 km from the Manglore City . Most long-distance trains moving on the either to north or south India stop here. There are two bus-stands in Mangalore for long-distance bus services. One is the state-run KSRTC bus-stand in Bejai, located towards the North of the city, but not far off from the city centre. The bus-services are run by the [www.ksrtc.in Karnataka State Road Transport Corporation]. They operate scheduled bus services to Mumbai,Bangalore, Mysore, Goa, Hubli-Dharwad and many other areas within and outside Karnataka. Services run by the Kerala State Transport and Tamil Nadu State Transport and Andhra Pradesh State Road Transport Corporation also call in Mangalore at this very bus-stand. The other one is behind the Town Hall. It is known as the 'State Bank' stand by the locals, because of its proximity to a branch of the State Bank of India. It is the last stop for most of the private bus services to Mangalore (mostly Inter-District viz. Mangalore-Udupi and Inter-taluk buses). There is a third bus-stand (not exactly a bus-stand but an alighting point for passengers) in front of Milagres Church where most private tour and bus operators: Ideal Travels, Canara, Canara-Pinto, Vishal Travels, Anand Travels, VRL etc. have their offices. They operate buses of semi-deluxe, sleeper and Volvo types to various destinations viz. 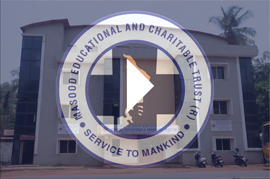 Mumbai, Bangalore, Goa, Thrissur, Hubli-Dharwad etc. Various other pick-up points and drop points are there in Mangalore city according to your convenience! There are numerous bus services from Mangalore to all the nearby towns in Karnataka and Kerala. The long-distance bus services to major cities like Bangalore, Mumbai, Hubli-Dharwad and Goa run along the National Highways radiating to the North (towards Goa and Mumbai) NH-17, South (towards Kerala) and the East (towards Bangalore) NH-48. Mangalore is well connected to Goa, Mumbai, and Kerala via NH-17, to the state capital Bangalore via NH-48, and to Hyderabad via NH-13. Highways are only two-laned and very narrow, but make for extremely scenic drives as they all pass either through the Western Ghats or along the coastline. There is a lot of heavy traffic load on the highways owing to the increasing number of buses plying on these routes, as well as a lot of goods-transport trucks owing to the location of many plants and factories as well as New Mangalore Port on NH-17. So exercise caution while driving during periods of heavy traffic. NH-48 from Sakleshpur to Mangalore, which had been completely un-motorable thanks to government apathy, is now repaired and somewhat motorable. Work is going on to convert NH-48 into a four-lane highway. Until they do this, one needs to go to Mangalore from Bangalore either through the potentially dangerous Charmadi Ghat road, or via the equally pathetic Mysore-Madikeri-Suliya route. There are many car rental companies available. Kudtheri Mahamaya Temple, Carstreet (Near Venkataramana Temple). A old and famous historic temple. The temple is around 600 years old. The main idol was brought from Goa to Mangalore during the portugese attack in Goa.The temple has panchadevataaradhan which is comprising of Vishnu, Durga, Ganapati, Shiva and Lakshmi. The temple was named as "Hale VenkataramanaDevaru (Lord Old Venkataramana) which was in the temple long centuries ago).